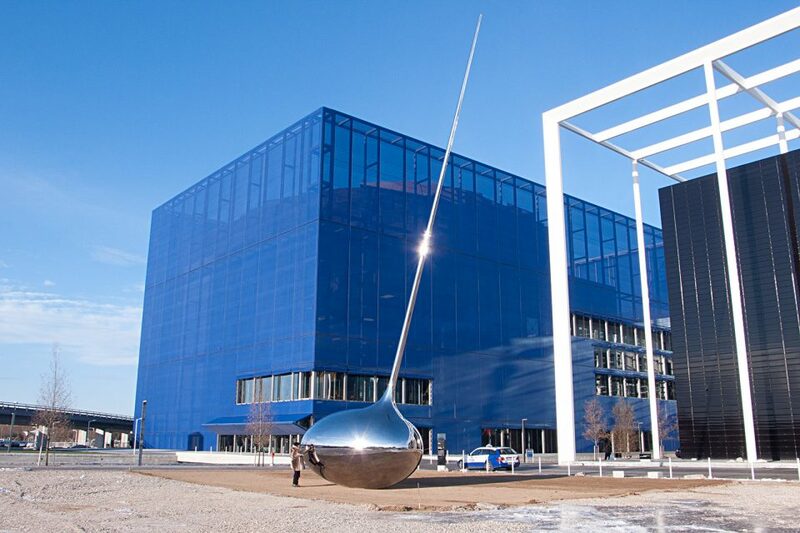 DR Byen, the new site of the Danish Broadcasting Company, houses an ambitious media and culture center in top-notch architecture. 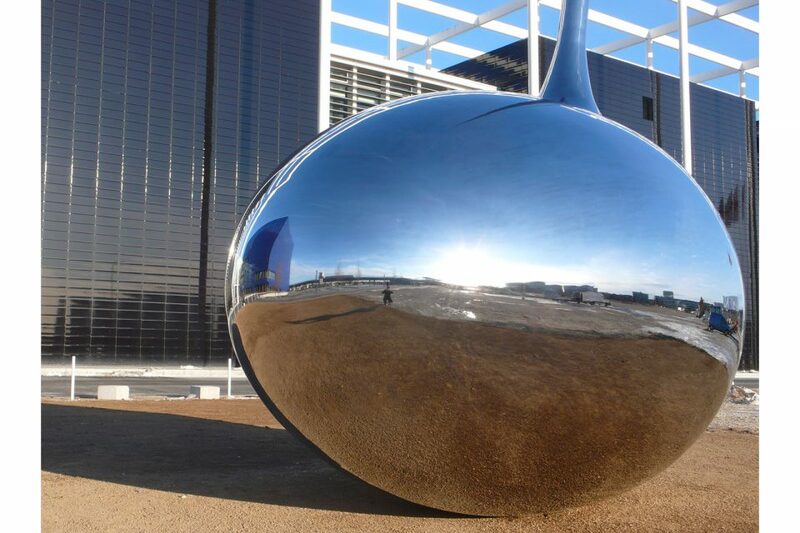 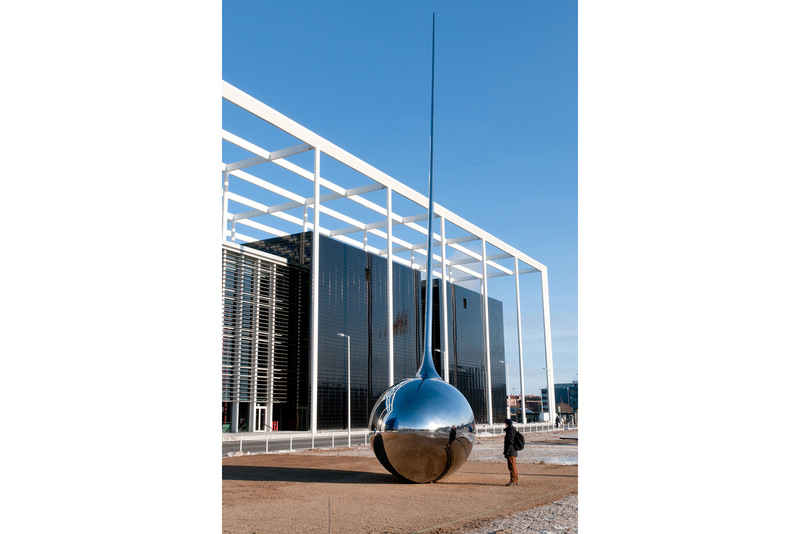 In front of the monumental building complexes stands Receiver – a sculpture that, with its mirroring surface, its organic form, and its antenna shooting diagonally 19 meters up, asserts itself in this architectonic ensemble and corresponds directly with the content of public broadcasting. 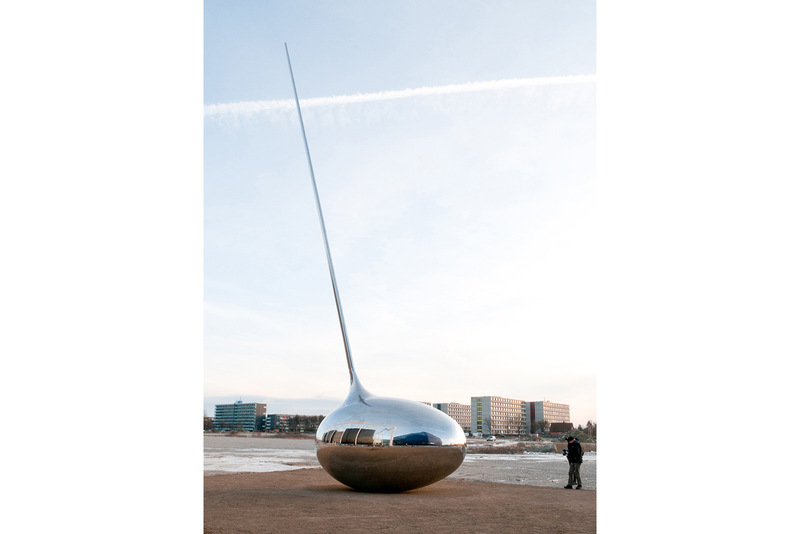 The seamless juxtaposition of egg and antenna seems unaccustomed and at the same time a matter of course. Reflection and communication are the two key concepts dealt with here. 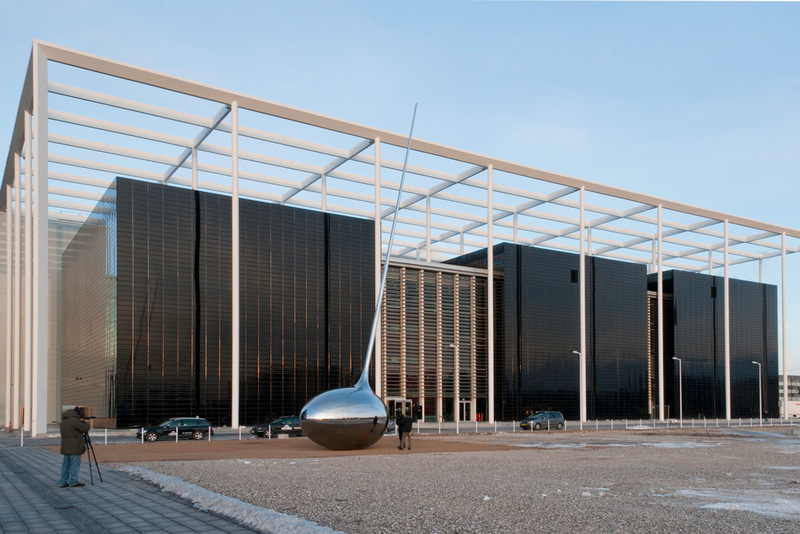 Nature and high-tech, terminator and comic, cocooning and communication encounter each other and form a contemplative, almost spiritual resting point against the backdrop of the dynamic media hub. 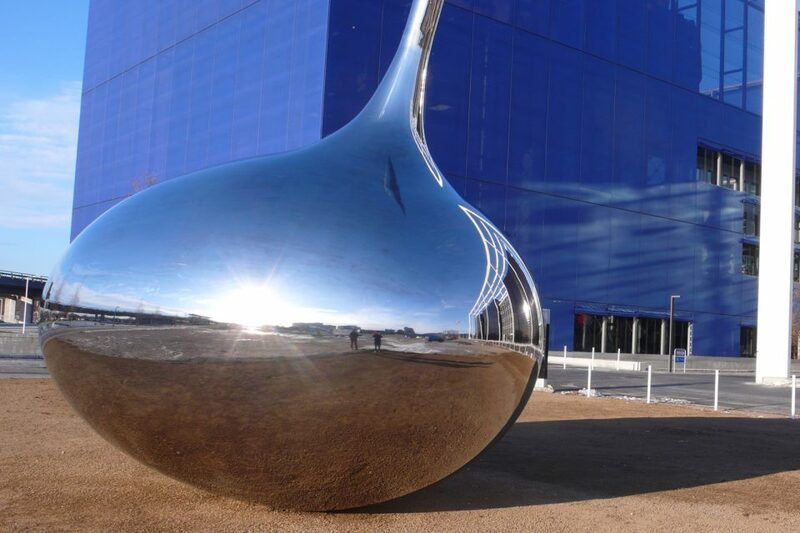 The sculpture bundles its entire environment on the curved surface, as if on a screen: the sky, the huge architectures, and the passing people. Factually and symbolically, it conveys a constantly timely reflection of the present-day world.